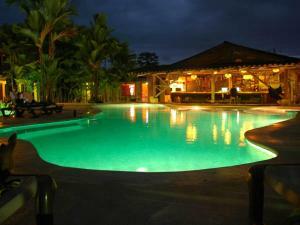 ﻿ Best Price on La Fortuna Backpackers Resort in La Fortuna + Reviews! 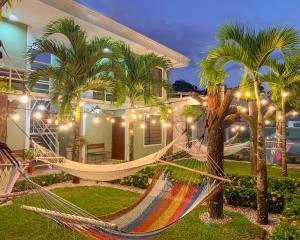 La Fortuna Backpackers Resort is located in Fortuna downtown. It features free WiFi, private parking lot. 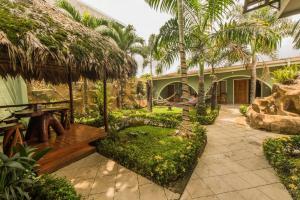 All the rooms have a private bathroom, hot water, cable TV, A/C and views to the Arenal Volcano or to the gardens. This property provides a shared kitchen and communal lounge area. 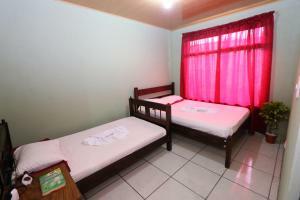 Other facilities offered at the property are laundry services (for hostel guest we offer 1 kg for free laundry per person per stay, restrictions apply) , bicycle/car rental, tickets for entrances to the main activities, etc La Fortuna Backpackers Resort is in front of La Fortuna high school and 984 feet from La Fortuna central park. Juan Santamaría International Airport is at 68 mi away. Free Laundry Service for 2 kg per room. Please note that children from 0 to 6 years old stay for free. 7 year old and older guests pay as adults.